SHARJAH: The top four non-communicable diseases (NCDs) among children in the UAE are obesity, diabetes (both Type I and II), cancers and diseases associated with smoking and substance abuse, a top official of the Friends of Cancer Patients (FOCP) association said on Monday. NCDS are a group of chronic diseases that occur due to either genetic, physiological, psychological or environmental factors across all age groups and are not transmitted to another individual. These include diabetes, obesity, cancers and other non-contagious diseases. While the World Health Organisation (WHO) focusses on NCD-related mortality among adults in the age group of 30-70, children, adolescents and young people in the age group of 0-29 are excluded due to paucity of data. Other premature NCD moratalities include road trauma and drowning injuries. At the forum, however, a discussion of premature NCD-related mortality was held where youth leaders pointed out that out of the 41 million deaths due to NCDs in 2017, 1.5 million were children. Recognising the need to include childhood NCDS in the global disease agenda and upholding the right to good health and life for children, the forum launched a Young Leaders’ programme for advocacy and participation of the youth in the decision-making process of formulating an NCD policy. In her keynote address at the forum, Shaikha Jawaher Bint Mohammad Al Qasimi, Wife of His Highness Dr Shaikh Sultan Bin Mohammad Al Qasimi, Member of the Supreme Council and Ruler of Sharjah, and founder-patron of the FOCP, emphasised on the importance of five pillars in tackling this issue - namely changing lifestyle, academia and research, pro-active social institutions, role of state organisations in creating awareness and palliative, medical and psychological care in providing field support to the cause. Dr Mychelle Farmer, the current chair of the forum, pointed out that the main reason for the paucity of data on premature mortality among children and youth was due to these cases occurring in economically backward countries where child health was not a priority and the countries did not have the resources to collate data. Dr Marie Hauerslev, the new chairman-elect for the NCD forum 2020, reiterated that she would focus on the strategic planning of the forum and work towards the equalitarian principle of inclusion and universal health coverage for all. 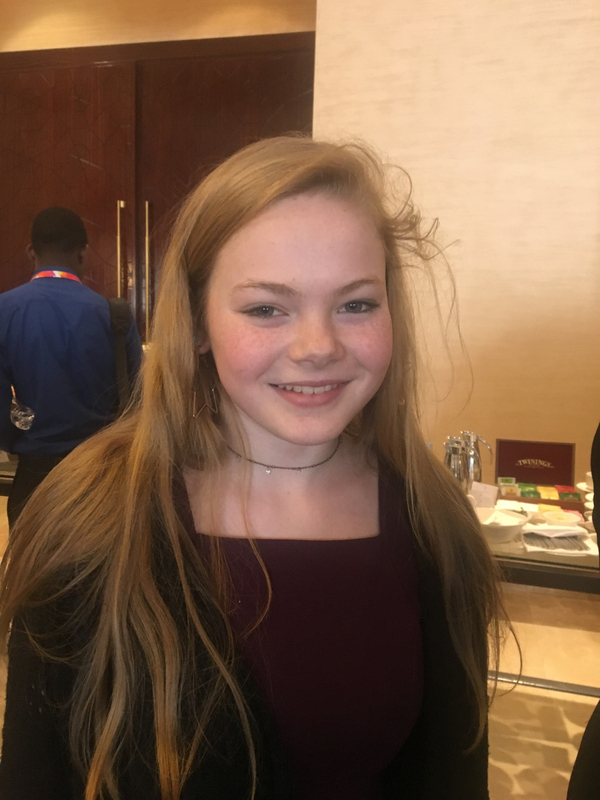 Drawing strength from her struggle, she addressed the UN conference on the plight of other underprivileged children with the same condition who might be victims of neglect and pain. Marician added: “This disease is not visible but debilitating. Despite all the support I had from my parents, the availability of best doctors and resources, it took nearly three months for the doctors to diagnose my condition." "I was misdiagnosed earlier and had nearly 4,000 pills the whole of last year. Now I have become more aware and I am able to manage my condition and I want to create worldwide awareness so that no other child suffers this and is able to be a productive contributor to society”, she said. Abdullah Mohammad Al Marzouqi, a pupil from Taryam Omran Secondary School, has reversed his Type II diabetes. “When I was diagnosed with Type II diabetes, I realised it happened because I was obese. With the help of our school physical instructor and nurse I learnt how important it was for me to exercise and cut out junk food. I reduced my weight and now I am no longer diabetic. I want to inspire other children to follow a healthy lifestyle,” said Al Marzouqi. Matar Obaid from Batayeh School in Sharjah took to smoking as he was influenced by other friends. Presenting his fight to quit smoking he said: “I asked my school health staff to help and guide me as I realised this was causing respiratory problems. I was not only able to successfully quit, but also inspire some of classmates to give up smoking,” said Obaid.